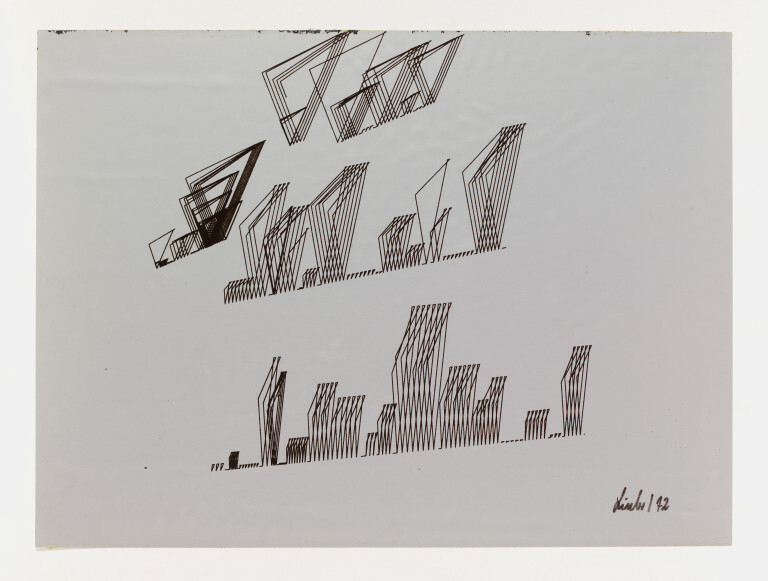 Manfred Linder used the FORTRAN programming language to generate his drawings. He made this plotter drawing using a Siemens 4004/G computer and a small Calcomp plotter 565 - a mechanical device that linked the computer and guided the pen across the paper. Linder, who studied mathematics at the University of Cologne, worked at the University’s computer centre where he was responsible for basic software including operating systems and graphical equipment. He submitted this artwork to the Computer Arts Society's INTERACT exhibition and conference in Edinburgh in 1973. 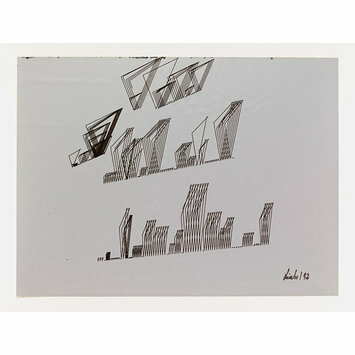 Photograph on silver paper, copy of a plotter drawing in the V&A's collection (E.371-2009), mounted on board. Number from previous owner in pencil in lower left. The work was submitted to the Computer Arts Society's INTERACT exhibition and conference in Edinburgh in 1973.